Using chalk instead of oil pastels (and vice versa) can completely change the look and feel of a piece of art. Artists used chalk pastels well before they discovered the oil pastels, which opened up a completely different spectrum of art in the pastel world. Knowing the difference between the two types can help tremendously when deciding how to go about your project. Painting with dust-based pigments was among the first techniques used in the history of art. Painting with wet and dry pigments dates all the way back to the original cave paintings found in western Europe. Leonardo da Vinci quickly popularized more recent chalk pastels in 1499 with his portrait of "Isabelle d'Este." This popularization never faded completely, as the use of chalk pastels remains common. Hard chalk pastels have very little pigment and much more of a binder (a denser filler, essentially). This pigment-to-binder proportion equals out to much lighter colors. The less pigment within a pastel, the less intense the color. Because of this, however, hard chalk pastels blend incredibly well together. The colors do not have to fight each other's intensities, allowing them to freely mix without much trouble. Being harder also gives the hard pastel a much more defined edge, which makes it useful for drawing/coloring much smaller objects and details. Soft chalk pastels contain much more pigment than its harder brethren. With more pigment and less binder comes much more intense colors. 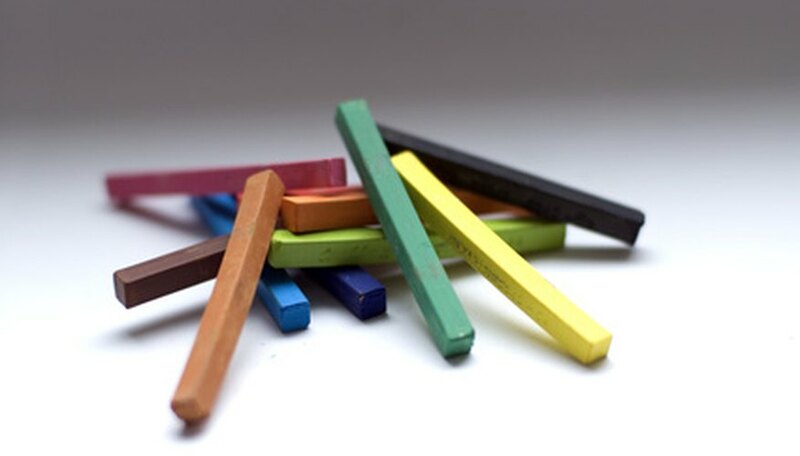 Artists commonly use soft chalks because of their bright colors and high pigment values. Though soft chalk pastels can blend into each other to create more vibrant colors, it can only blend on the canvas (not on a palette). Having such color intensity can make blending difficult at times, so it's best to expand the amount of colors you have to choose from. Some manufactures produce up to 600 different colors for this sole purpose. It wasn't until the 20th century that oil pastels came into fruition. Oil pastels originally had very little pigment but quickly changed to have the vibrant colors they have today. Oil pastels once came in two different types--winter and summer collections. Winter collections had more oil to prevent hardening during the cold weather and summer collections had less oil to prevent running. The artistic community took to oil pastels quickly. Oil pastels never fully dry and require a fixative applied to them upon completion to prevent smudging. Oil pastels reveal the most intense of pastel colors and can really add a feeling of paint to your drawings. Instead of having a chalk-based binder, oil pastels usually stay together with wax and oil (which is why they never completely dry). By using oil, however, you can achieve a sense of intensity that chalk could not match. Occupying a quaint, little town in Maryland, Zachery Bennett has written for self-enjoyment since 2002. He now has articles published on eHow. Bennett is expecting an associate's degree in digital media from Frederick Community College in the latter half of 2010.